When I moved to Perth, there was a minor quirk about the city that nobody had mentioned prior to my arrival. If you’re laying on the beach in summer anytime past 1:00 PM, prepare for a sandstorm. If you feel like going for a jog? Might as well run in a wind tunnel. The reason so many supermodels come from Perth is because they perpetually have wind pulling up the corners of their face, forgoing the need to ever get a face-lift.It’s as if God has gotten ahold of a leaf blower, got bored, and decided to chase Australians around with it. 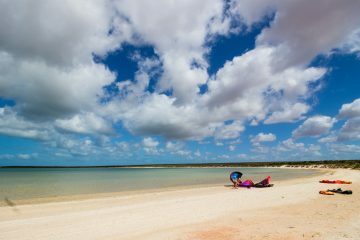 Like the adaptable creatures that humans are, Western Australians have learned to embrace the wind and take up the sport of kiting. 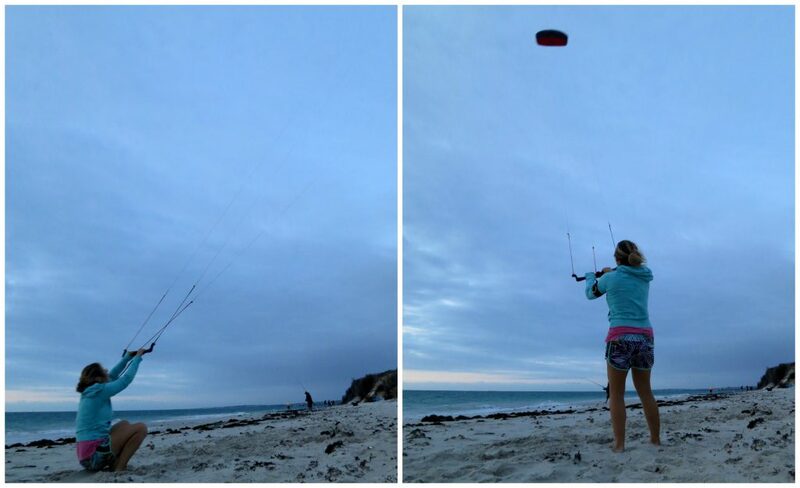 So of course, when-in-Perth, I learned to kite as well. At first, kiting both terrified and frustrated me. To put it simply, the kites are harnessing the wind. You are literally using some godlike force to propel you over the water. 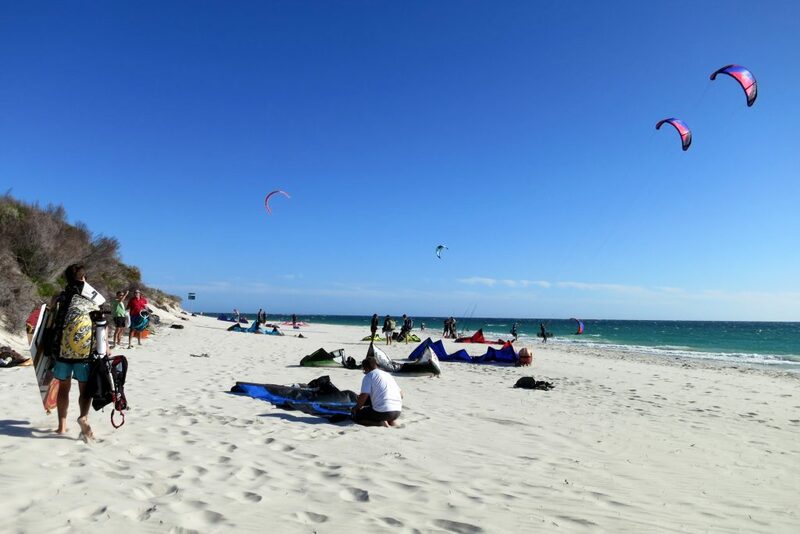 You take up so much space with the sport that in Western Australia, a kiteboarder is considered a sailing vessel. It’s hard not to feel intimidated by the thing! I’m so thankful that I put in countless hours flying a trainer kite before setting up my real big-girl kite. When the time came for me to finally bring out my 7 meter kite, I had mixed feelings. Note that most of these fears are irrational (getting eaten) or stem from not being able to control the kite. With each launch and land of my kite, my confidence increased exponentially. 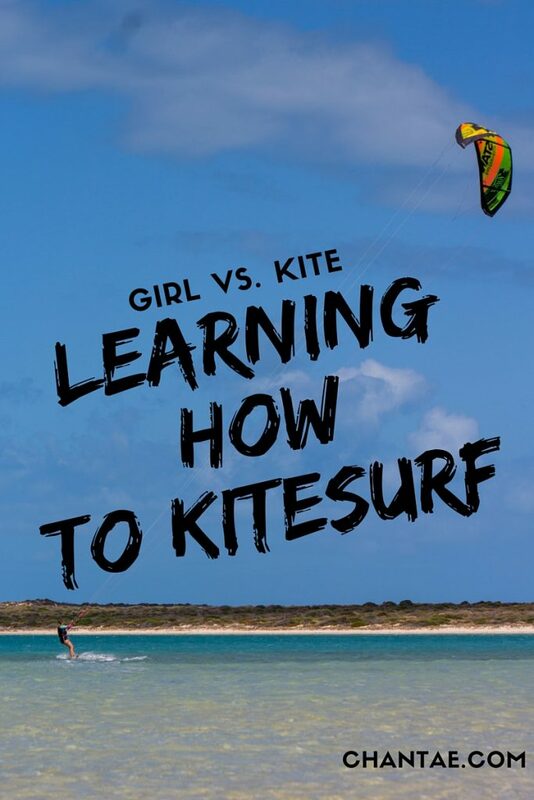 Kiteboarding has a steep learning curve, where starting out can be solely frustrating. 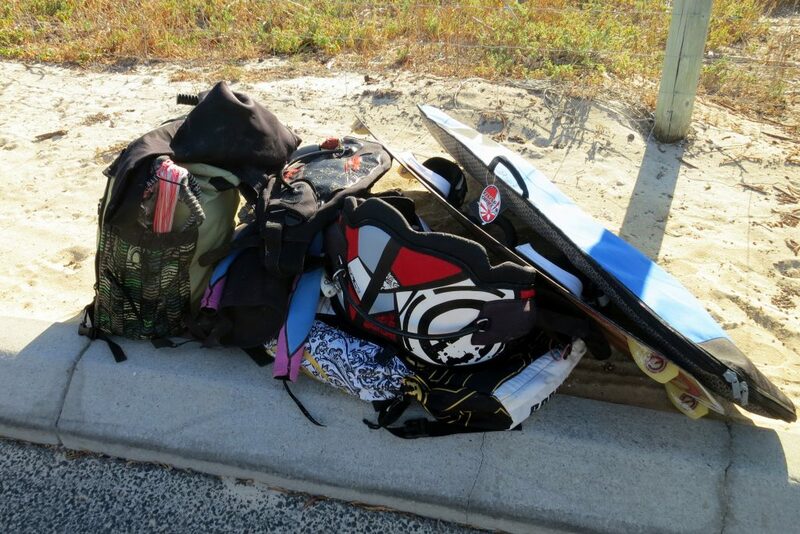 I spent the first few sessions body dragging to get my board back and rarely was successful. Moritz had to wait on the beach for me to give up and surrender my kite to him to retrieve it before my board was gone forever. This was in between face plants, gusty wind conditions, and swimming my kite over 200 meters to shore after flying into a no-wind zone – which led to the most tangled lines in history. 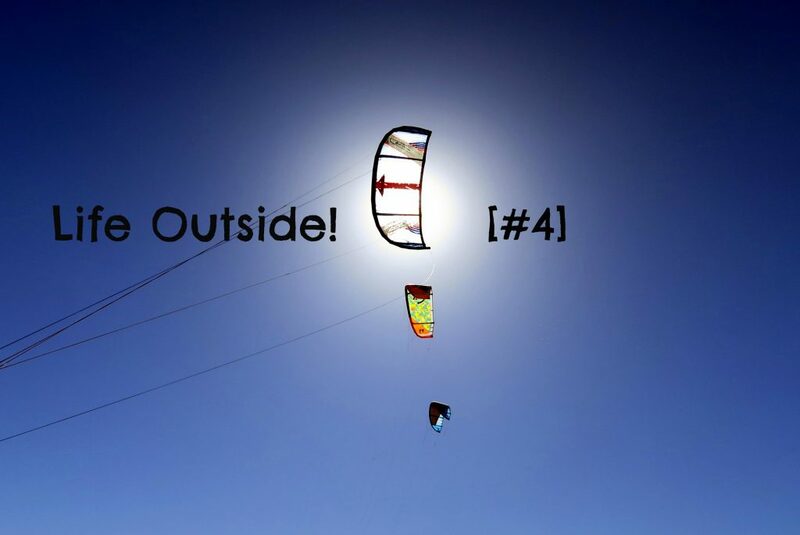 My lines took on the persona of Bob Marley of the kiting world! 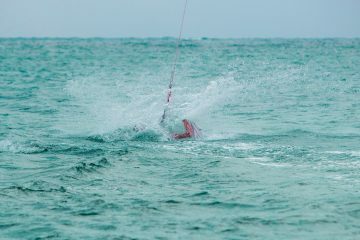 Unlike wakeboarding, you have to remain focused and alert when you fall to keep track of your bar, kite, board, and body. I promised myself that if I still hated kitesurfing after 15 hours dedicated solely to it, then I would sell my gear and write off the sport forever. That’s how frustrated I was. Beginners (like me) tend to crank their kites at 12 O’clock and get sore necks looking up at it. Fortunately, I just passed the 15 hour mark and am officially loving the sport of kitesurfing. Every time I go out, I get a little bit better. As an adult, I think we get used to staying stagnant and not seeing measurable progress in what we do. I’ve learned to celebrate the small goals, like turning and getting my board back. Even though I’m still a beginner and am far from being the next Kung Fu Kiting Panda, kiting has now crossed into the this-is-awesome threshold of sports, and I’m not going to be selling my gear anytime soon. So, if you’re thinking about learning, I’d love to pass on some advice n00b to n00b style. 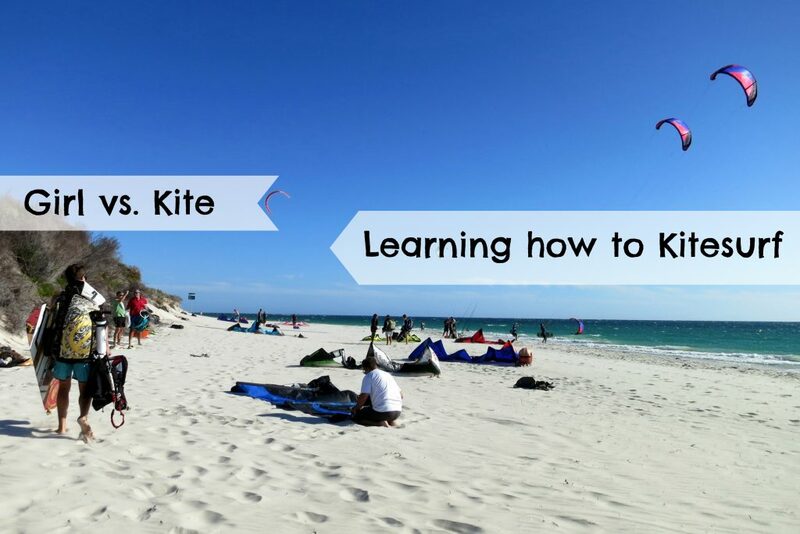 Practice with a trainer kite, a smaller and simpler kite than a sport kite, until you can fly the kite in figure eights consistently with your eyes closed. Flying a kite is like steering a bicycle. Fly one handed. Fly it around the clock. The more time you spend with this, the easier flying the big kite will be. It will also save you money if you take lessons because you’ll be learning how to spend time on the board instead of wasting time on something you could teach yourself. Try to borrow one if you can as this ends up being a useless purchase after a few weeks. I can even fly mine with you if you’re a fellow Western Australian. Don’t fly a large kite on the beach! Some of my friends have seriously injured themselves by doing this, and most instructors advise against it. Practice in shallow water that is clear of people instead. Take a lesson or get a knowledgeable friend to help you. I took an hour-long safety lesson and watched this video series on youtube to help me start. Other than that, I had Moritz who was a season ahead of me in kitesurfing to help me grasp the basics and offer moral support. 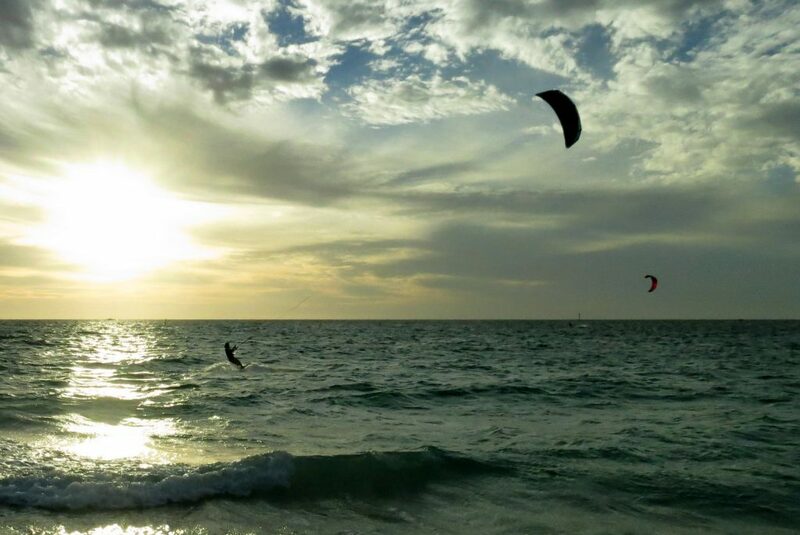 Remember that just because a person can kiteboard, doesn’t mean they know how to teach you. 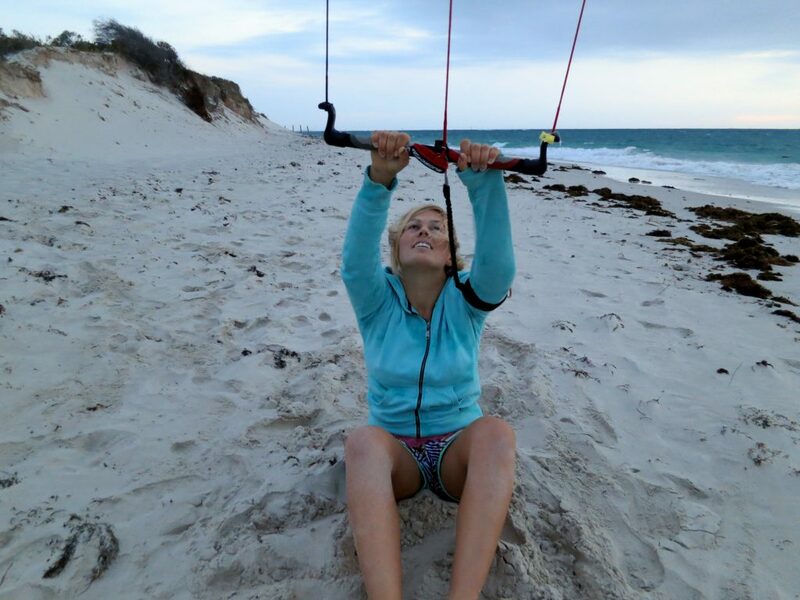 My friend was injured by flying her friend’s 14 meter kite on the beach – something an instructor would never let you do! That’s like letting a fourteen year old take a Ferrari for an off-road spin. Get your gear secondhand and seek advice from someone more experienced before you purchase. 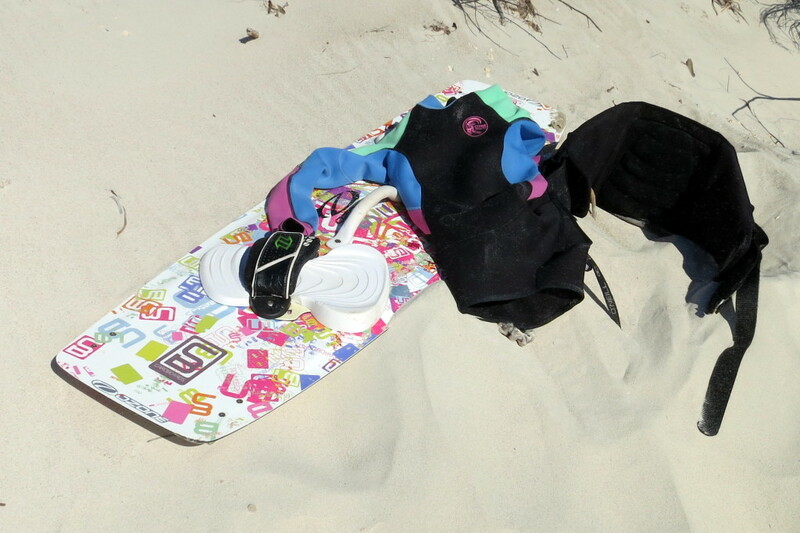 Meet Sherbert, my secondhand cheerfully colored kiteboard. Mo and I have to lug this gear in and out of our storage room on a near daily basis. Practice releasing your safety until it becomes automatic. I’ve heard to release it every time you land to make sure that the safety release device is clear of sand and debris, but I haven’t exactly practiced this myself. Instead, I pull the safety while assembling my lines every few days to clear it out before launching. Practice pushing away rather than pulling the bar close when you are overpowered. When you push the bar away, the kite de-powers. This isn’t super intuitive because we tend to hold on tighter to something when we feel afraid. Don’t skimp on body dragging. When you’re learning, it’s easy to become focused on riding the board and skip over the part where you learn how to body drag properly. Spend a day or two doing this, and you’ll thank yourself later when it takes you just one attempt to get your board back instead of ten! I’m going to be honest though. I hate body dragging. Riding off into the sunset. Jut me and my kite… So romantic! 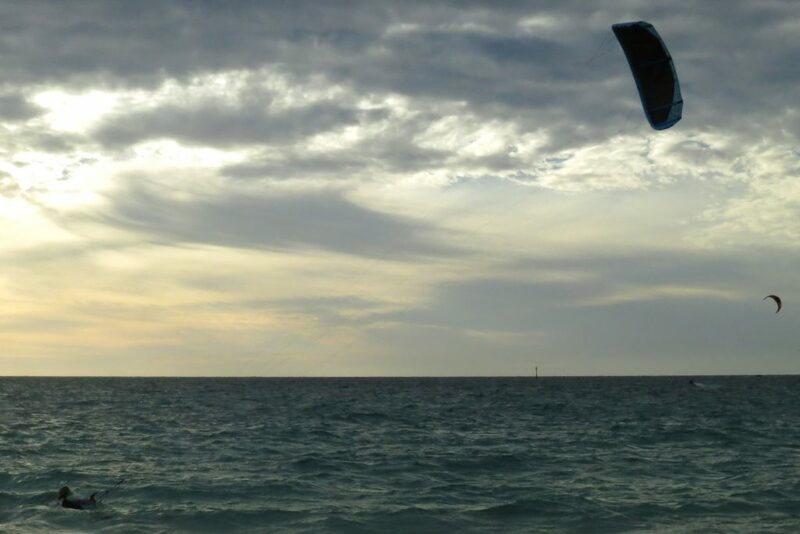 Out of all of the board-sports I do, kitesurfing was the most intense to learn. It takes a lot of gear, time, and practice to feel comfortable. Many people I know have given up after a few tries because of feeling overpowered, but learning is a lot like driving a car — intimidating at first but soon becomes second nature once you practice handling it. 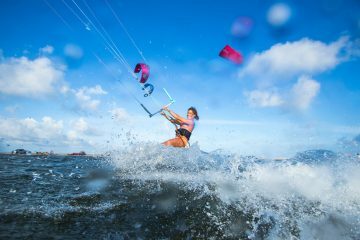 This sport relies on nature like surfing and snowboarding, and lets you have the fun of wakeboarding without the reliance of a boat. For me, that is one stellar combination. Thanks Raphael! You should definitely try it! Funny, I had the same experience about moving to Perth. I moved away for ten years and when I came back I knew that I had to do something that uses the wind or this place would drive me nuts. 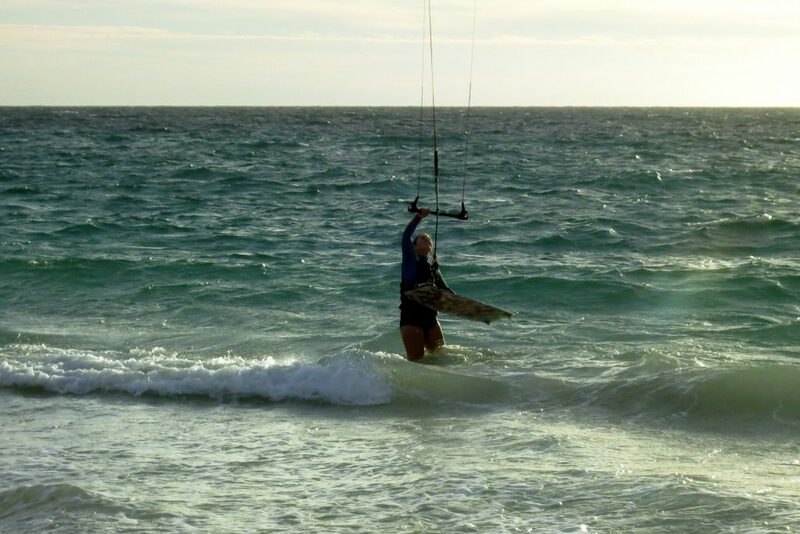 I started kitesurfing ten years ago, got hooked (literally) and now can’t live anywhere else. Where do you usually go? I’m always at Pinnaroo and now Mullaloo! Thanks for this, I needed the encougment. Aced the training kite, but got on a 7″ on the beach and freaked pulling the bar towards me and got dragged along the beach a bit. Now I’m kind of terrified. I did go back to the train kite and got a feel for were I went wrong, so I’m hoping to get the guts to give it another shot in a day or so. Oh no! That sounds rough – a 7m kite can be quite strong. I personally wouldn’t recommend practicing with a kite bigger than 3m on the beach without someone strapped to you (preferably an instructor). 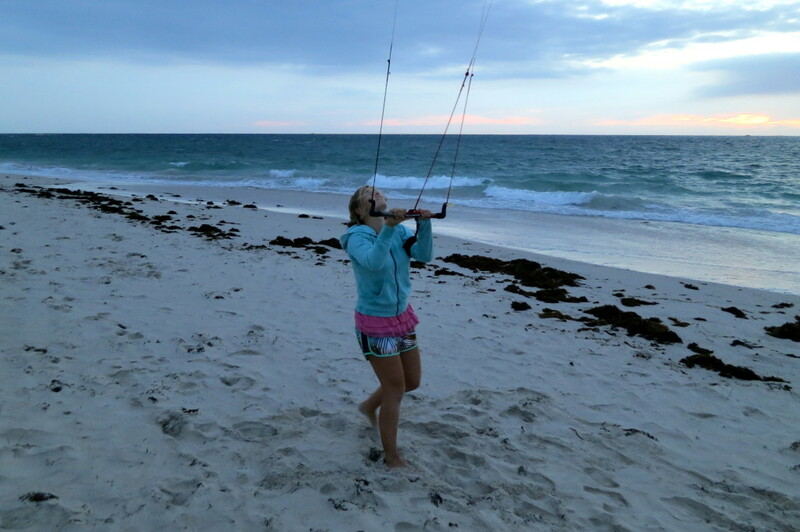 Is there anywhere you can go with knee-deep water that you can practice the 7m kite in? Amazing journey. 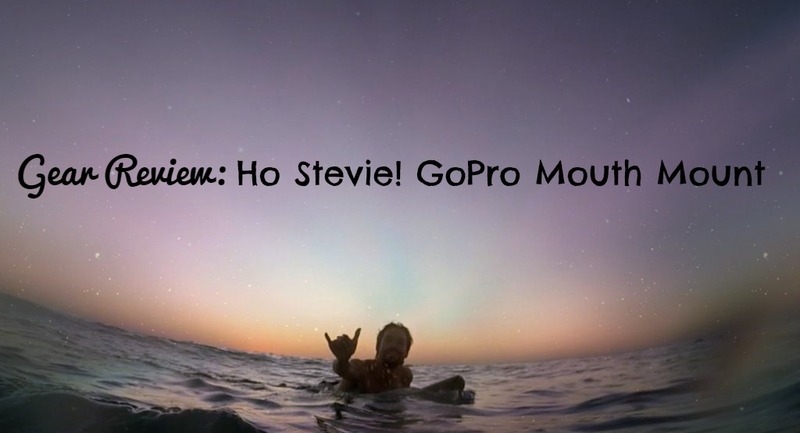 I really want to doing this. I it is an incredible journey. I read your article and encouragement your all informative info. Lovely felling. Great experience !!! First time learning kit surf ! !